– the lessons in building and running systems and solutions, that can be learned from owning a model railway.I haven’t had a model railway since childhood. My first train set was a battery operated Lima Model Railway which I received for Christmas.Over the years I expanded the railway extensively through the purchase of track, rolling stock and accessories. Though the Lima brand itself may be long gone, the enduring memory of Lima Model Trains is likely to remain with many model railway enthusiasts and adults for a long time to come. The train set and the diorama that I built with my father served as entertainment for hours on end right up into my middle school years. Model train sets, don’t fall into the strict category of construction toys like plastic building blocks, but they do teach children a number of lessons that as adults we would do well not to forget. 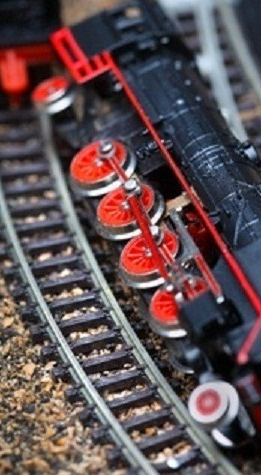 Here are 5 important lessons train sets can teach – perhaps you can think of more. Model railway sets come with layouts but of course you can augment these further by buying additional track and accessories and expanding the layout further. Either way you need to start with understanding what the potential is for the tools that you are planning to use. 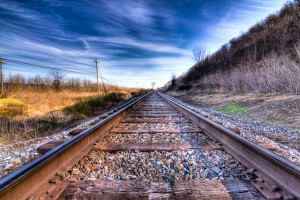 Look at what others have done and explore the possibilities before you start laying tracks. Thinking ahead is an important characteristic of successful people. One of the problems that I often see is a lack of flexibility. As mentioned in Lesson1, often there is a plan or a set of recommended plans or combinations that can be achieved with the resources or tracks that you have, but you shouldn’t allow those plans to be the only possible approaches. A more flexible approach especially when you have expansion sets and the opinions and insights of others will enable you to push the boundaries of your plan and help you to build something that is unique. Sometimes you have to follow the plan but be prepared to let go of some of its constraints. Electric model railways can be incredibly frustrated to a pre-teen. I recall with not so fond memories how often the train would stop dead on the track layout due to a bad connection. With a battery powered train set this is less of an issue but when a train gets derailed or runs out of battery power this should be viewed as an opportunity to improve and a lesson rather than as an outright failure. Similarly, your full flight initiatives may suddenly grind to a halt or fall down in a heap. Rather than getting upset and irate, piece together what went wrong and how you can avoid a reoccurrence. Those failures in the train set often arose from short circuits and short circuits came from either faulty connectors or the wires from the transformer to the track or too many engines on the track or flat batteries or a train malfunction. Your ability to work methodically through the components that make it work determine how effectively you can debug an issue. Similarly, any complex business solution that gets put together will have the same small pieces that can be disruptors to smooth operations. Accept that they exist and that they can fail. When you look at those small pieces individually clarity and understanding flows. This lesson functions in parallel to lesson 2. While I was never blessed with a great many structured plans with my model railway I did have the ability to understand how certain combinations of layouts wouldn’t work on the limited real estate of my particle board diorama. Sometimes I would have to be less ambitious but nonetheless persistent in my thinking about how far I could push the arrangement. What elevation could a train with a load climb? How tight a bend could be handled etc. At one stage I even made custom track modifications simply to make things fit. The point here is that occasionally you have to depart from the norm and stick to your mission or objective even when it seems impossible at first attempt. Winshuttle’s product suite has many characteristics that are similar to a model railway set. There are certain rules that are difficult to deviate from or break. For example. If you’re working with SAP you need to work within the SAP security framework. Secondly, you’re constrained with current versions, to using certain staging environments for your data like Microsoft Excel, Access and Google spreadsheets for data uploads. Finally, you have the ability to expand capabilities further by adding additional basic components or expanding on what you start within an additive way. The important thing is to realize that while the solutions you build will be robust, they do not need to detract from your existing functionality and capabilities of your ERP system and will be complementary. 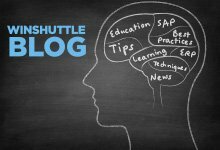 Building solutions with Winshuttle products is one of the fastest ways to initiate business process improvement and transformation initiatives in parallel with Business As Usual (BAU).